If you have places to go and people to see, you need the 2019 Honda Fit. The sculpted body lines offer sporty appeal with aerodynamic efficiency. The front grill is all attitude with body lines that flow into headlights. The front bumper is more than a bumper. This aggressive element houses the front fog lights to blend function and form. Slide inside to enjoy excellent visibility and an array of tech amenitites. Visit Premier Honda in New Orleans, Louisiana to find your Fit now! Stay connected to your favorite music, audiobooks, podcasts, and more with Bluetooth® streaming audio, Apple CarPlay™, Android Auto™, USB and more. After you connect, crank up the 180-Watt, 6-Speaker Audio System. SiriusXM®, HD Radio®, and Pandora® are also available on particular trims. Continue reading to discover which new Honda Fit is the ideal companion for your morning commute. At Honda, safety is standard. 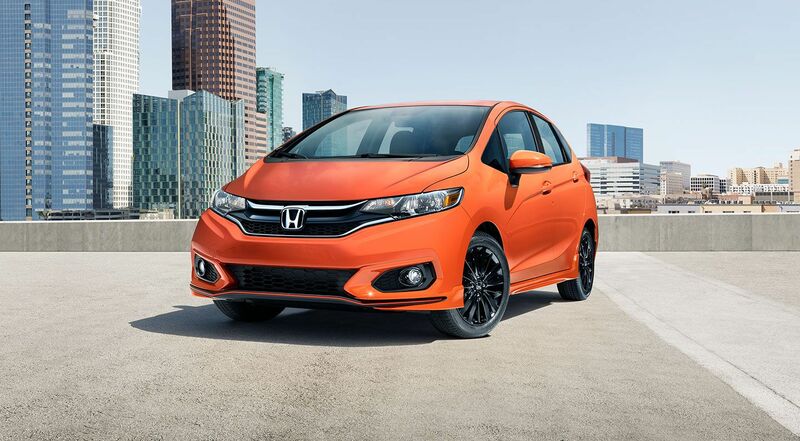 The 2019 Fit comes standard with a suite of advanced driver-assist systems and safety systems called Honda Sensing®. Feel safe behind the wheel while driving the streets of Metairie and Kenner with Road Departure Mitigation, Adaptive Cruise Control with Low-Speed Follow, Lane Keep Assist System, and Collision Mitigation Braking. Protect your passengers, other motorists, and yourself on the roads of New Orleans with this new Honda. If you are shopping for a new car, discover the lease deal you're looking for in a new 2019 Honda Fit. Key features through the trim range are a 2nd0-Row Magic Seat®, Available Paddle Shifters, One-Touch Power Moonroof, and Heated Front Seats. The Continuously Variable Transmision is Available on all trims and standard on the EX-L. The cockpit of the new Fit is made with driver comfort and convenience in mind. The clever design of the cabin allows for excellent visibility, comfortable amenities, and steering wheel-mounted controls for phone, audio, cruise control, and voice command. When considering your versatility needs, consider a vehicle with a 2nd-Row Magic Seat and up to 52 cubic feet of cargo space. The next time you're moving a bike or small couch, pull up in a 2019 Honda Fit. The 2019 Fit offers an array of exciting trim models and features. The base LX delivers a Multi-Angle Rearview Camera and 2nd-Row Magic Seat®. Upgrade one level to the Fit Sport to enjoy a 7-Inch Display Audio Touch-Screen. The Fit EX adds a One-Touch Power Moonroof, Apple CarPlay™, and Android Auto™ Integration. Opt for the top-of-the-line Fit EX-L for a CVT with Paddle Shifters, Leather-Trimmed Interior, and Heated Front Seats. A Navigation System® is also available on this trim.